I have been cooking this week for a friend who has been in hospital. I couldn’t resist making this special pumpkin dish to share….a healthy and quick meal but one linked to so many good memories. I still remember when I wrote this recipe over 25 years ago while sitting at a dear friends kitchen bench .. this is definitely an old favourite at our house and best yet I still have got that original piece of paper. 5. Add a few tablespoons of water and simmer with lid on till pumpkin soft but still holds shape. 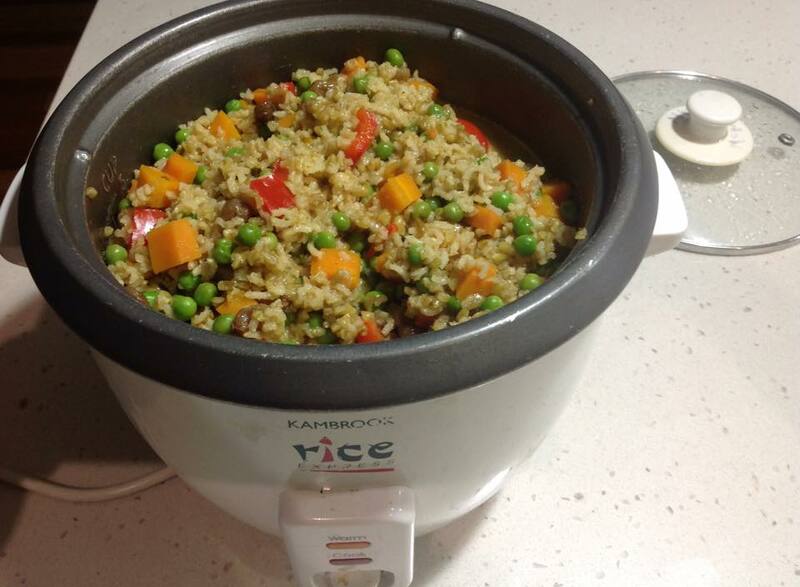 This is a quick curry basmati/ Freekah dish that can be cooked in a rice cooker, too easy!! When most of the water has been absorbed add 1/2 cup of peas and cook until all liquid is gone. This is a great Sunday night dish or perhaps perfect for the student going off to uni?? 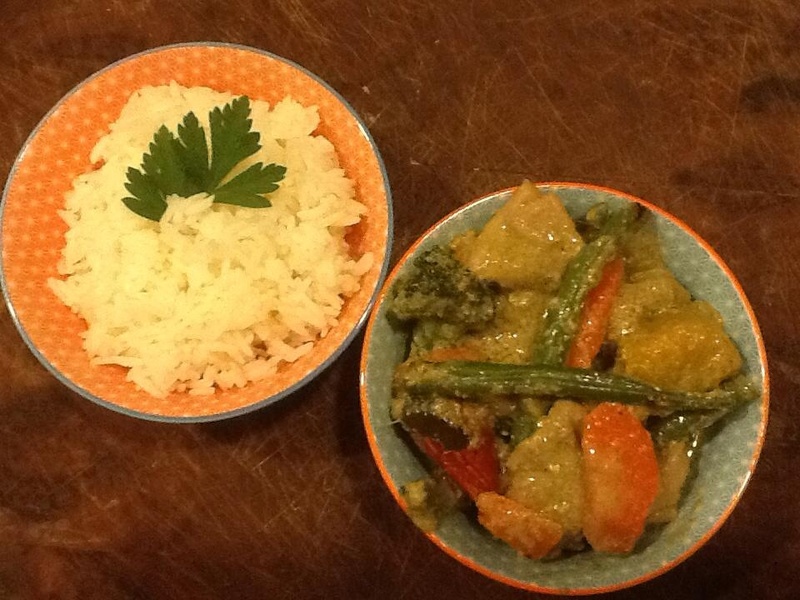 Thai is one of my favourite dishes dish This dish tastes great as a vegetarian dish or with chicken. 4 tbs Mae Ploy green curry paste ( or you can make your own from scratch)- I get this from the Asian super market. 2-3 cups of veggies – I used pumpkin, broccoli, carrot, beans and capsicum. Put a small amount of coconut cream into a wok and fry for 3 mins till the oil begins to separate out. Then add green curry paste and fry for 2 mins. If adding chicken add now and cook till outside turns white. Add veggies and lime leaves and simmer till cooked. Add palm sugar and fish sauce and half basil. Turn off heat and garnish with basil and sliced chillies.